Coffee Pot Stamping Cafe: Let It Snow! Such elegance, Marsha! Love those layered snowflakes! 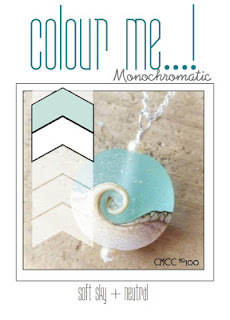 Thanks so much for playing along with our last challenge at Colour Me...! Thank you, Jinny! I'm really going to miss the Colour Me...! Challenge. It was a favorite of mine. Such a beautiful, soft card. 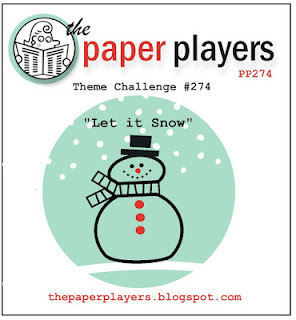 I love your use of the banner as the focal point with the layers and the snowflakes. Thanks for playing along with us at Freshly Made Sketches. Thanks, Kim! I love the sketch. 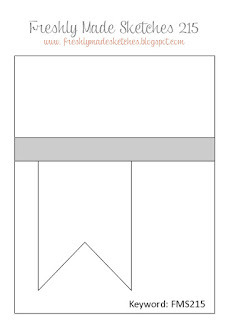 It's an easy one to use and I can see it being used for one of my stamp-a-stacks. Here, here Martha - I will miss Colour Me..! too! 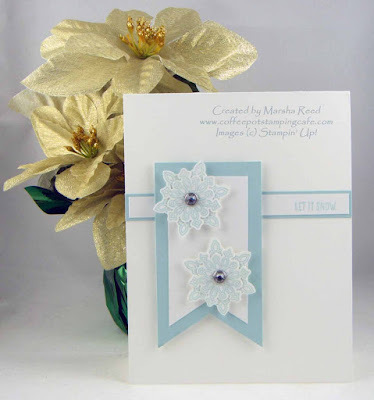 I love your CAS snowflake card - very pretty and the subtle layering and pearl centres really make this card. Thanks for joining us over at The Paper Players this week! Fabulous job combining challenges! I love the soft colors and the snowflakes are gorgeous. Thanks so much for joining us at Freshly Made Sketches. A beautiful CAS creation and great job combining challenges, Marsha! Thanks so much for sharing with us at The Paper Players! Thanks, Claire! Loved the snow theme. A gorgeous combination of challenges, Marsha! Those delicate snowflakes are beautiful! Thank you for joining us at The Paper Players! Thanks, Nance! Rarely do I combine three challenges because it's not always an easy task.